George Bishop's Letter to My Daughter tells the shockingly candid story of Laura Jenkins, a struggling adolescent girl growing up in New Orleans. Written as a letter to her own runaway daughter, Laura's tale is one of love, loneliness and growing up, all bundled into a stark 126 pages - long for a letter, but short for a novel. From the beginning, Laura's words are tinged with a sadness we can only begin to contemplate. Her story is riveting - she falls in love with a boy from the wrong side of town, and continues a relationship with him even after her father beats him up, kicks him out and ships her off to Catholic boarding school. But the haunting tone of her words constantly suggest the unhappiness and pain that the 15-year-old Laura still has yet to experience, making the reader terrified of continuing while simultaneously unable to stop. 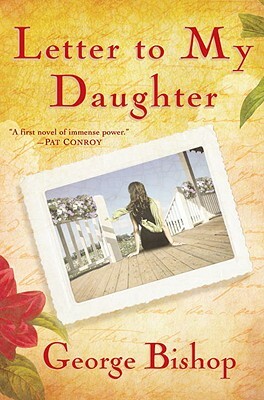 Bishop's ability to craft an entire tale of adolescence in the context of a mother's letter to her own unhappy daughter is a demonstration of genius; his ability to accurately relate the horrors and insecurities and pains of a 15-year-old girl, the cruelty of her peers, and the struggles of heartbreak, family, and loss is downright shocking. I know nothing of Bishop as an author, but merely the fact that he, as a male author, can so precisely captivate these familiar yet foreign emotions, in addition to the tender love between a mother and a daughter, is an impressive display of fiction writing at its finest. Bottom line: The raw emotion of Bishop's "letter" is at once heartbreaking and uplifting; the reader experiences every pain, every loss, every pang of guilt that Laura does. Readers of any age - single, married, young, old, parents or not - will find themselves touched by Laura's crisp honesty, her persistent drive, and the familiarity of some, if not all, of her experiences as both a teenager and a teenager's mother. A stunning and haunting work of masterful prose and storytelling. Disclosure: Thanks to Ballantine for an Advance Readers' Copy. Ooh, I can't wait to read this one now. I just finished it and really enjoyed it.